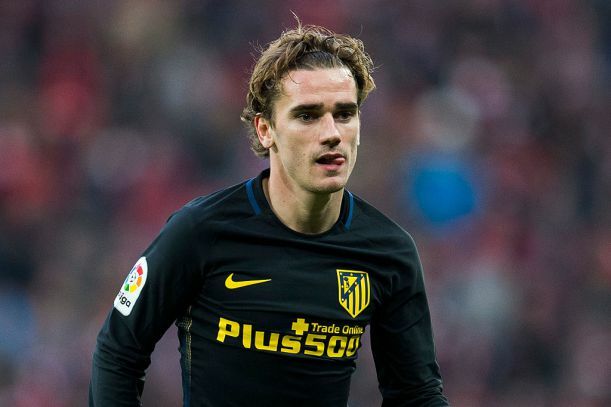 Arsenal have joined the race to sign Atletico Madrid superstar Antoine Greizmann, according to reports. The French forward has been linked with a move to the Old Trafford as the Red Devils view him as a potential replacement for Wayne Rooney who could leave the club at the end of the season. Prior reports even had it that United have held talks with his representatives in a bid to thrash out a summer move. However, reports in the Mail online claim that the Gunners have also joined in the pursuit of Greizmann and are ready to battle Manchester United for his signature, as they look for possible replacements for Alexis Sanchez and Mesut Ozil who have continued to stall on renewing their contracts at the Emirates. Atletico boss Diego Simeone has earlier hinted that he will not stand in the way of the 25-year-old if he decides to leave despite Greizmann insisting he is going nowhere. There are reports that the La Liga side are ready to cash in on the Frenchman for a whopping £85 million in the next summer window and might move for Arsenal contract rebel, Sanchez as a viable replacement for Greizmann.